Warriors Orochi 4 opens at 127,491 sales. Warriors Orochi 4 was the top selling new release in Japan last week with 100,831 retail sales on PlayStation 4 and 26,660 on Switch for a total of 127,491 opening sales, the latest Media Create sales figures reveal. 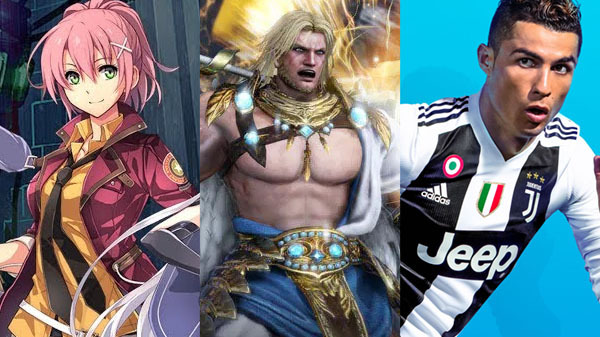 Also new last week, The Legend of Heroes: Trails of Cold Steel IV ~The End of Saga~ for PlayStation 4 sold 85,161 retail copies, and FIFA 19 sold 57,772 copies on PlayStation 4 and 16,200 on Switch for a total of 73,972, and the Switch version of Dragon Ball FighterZ sold 23,202 copies. Other new releases last week include Utawarerumono Zan for PlayStation 4, The World Ends with You: Final Remix for Switch, and the Switch version of Valkyria Chronicles 4. On the hardware side, Switch sold 42,957 units, the PlayStation 4 family sold 20,406 units, and the 3DS family sold 7,506 units.